Winn Schott is arrested as an alleged terrorist. Supergirl and James "Jimmy" Olsen, look to assist him, and in doing so, discover V.R.I.L., a "helper daemon" supposedly designed by Winn to assist him with technology. However, V.R.I.L. is in actuality, Vril Drox, an infamous hacker who can manipulate even the most negligible data for his own benefit. While Winn is explaining this to Supergirl, unbeknownst to them, Vril Drox has accessed a closed circuit camera and is spying on their conversation, hoping to learn more about the connection between Supergirl and Kara Danvers. Story - 5: Wow, so much for guilty pleasure. Gates ratchets up the storytelling gear, is an issue that feels double-sized in comparison to the opening storyline. The supporting cast is on full display, with Cat, Winn, and James hitting their marks and strengthening what is already a finely tuned tale. The appearance of Vril Drox shouldn't be a surprise for long time readers of Supergirl, but the cleverness that Gates uses in introducing him is something that's lacking from to many comics today. Gates uses misdirection, giving readers the obvious connection between "viral" and "vril," but also in making Vril Drox, ancestor of Brainiac 5, whom has been romantically connected to Supergirl, her antagonist here. 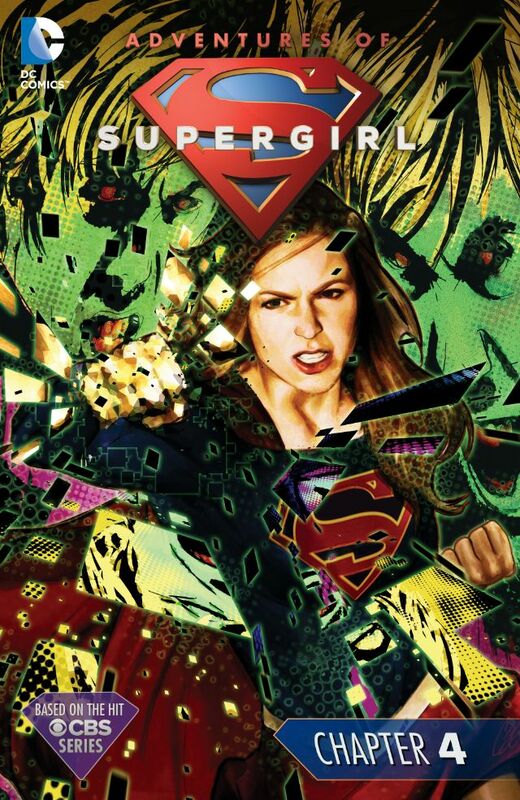 Gates is proving to be the seminal writer for Supergirl, and readers are the lucky ones. Art - 4: Meyers is a shift from the looser style of Bengal, and it works here as the story has taken on a more serious tone. His shift from Kara to Supergirl is excellent.